These are lyrics by Nirvana that we think are kind of repetitive. Why would Kurt Cobain keep singing the line far from Chicago? I can't wait if you say this as the chorus: three times in each chorus times three choruses makes it a total of nine times. As there are only two verses, this is most of the song. Daddy's little girl ain't a girl no more. Daddy's little girl ain't a girl no more. The whole chorus and it's repeated ad nauseum at the end of the song. To top it off the verses are pretty repetitive too. 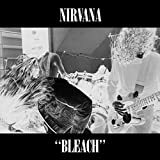 Many original songs on Nirvana's debut album Bleach (to name a few: School, About a Girl, Negative Creep, Blew, and Floyd the Barber) have repetitive lyrics (respectively 'No recess', 'I do', 'Daddy's little girl ain't a girl no more', 'You could do anything' and 'I was shaved'). Kurt sings the name of his own band 6 times in the middle of the song and 8 times at the end. Kurt sings 'I'm not the only one' four times in a row, three times total, thus the total is 12 times. And that's why you're not the only one who wants to be raped. There are no other words in the song. Won't you believe it, Kurt sings this and 'No recess' through almost all the song. OH MY GOD...like 30 times in a song...I went mad when I heard it! 19 times!! Come on! That's gotta be one of the longest repetitive lyrics I've ever heard! Nirvana's, "Smells Like Teen Spirit"
he says this what nine times if I had to repeatedly say that i'd blow my brains out too. Well, twelve times is alot!! !